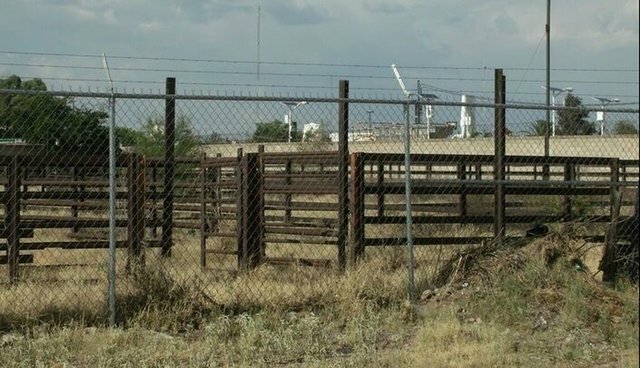 Empacadora De Carnes Unidad Ganadera S.A. De C.V. is one of the four plants in Mexico that was approved to export horse meat to the European Union prior to the EU Commission's decision to ban horse meat from Mexico. The plant, with EU approval number E-20 and MX Establishment number Tif-45, is located in Aguascalientes, Mexico. Prior to the ban, this plant was a major supplier of horse meat destined for human consumption in Europe. Inter Meats is linked to the Belgium-based company Chevideco, which imported the meat from the Aguascalientes plant to Europe. Chevideco, unlike other companies, only deals with horse meat and is one of the most powerful global players in the industry. Our review of the export paperwork for Inter Meats shows that this plant has not exported any horse meat to Europe (or any other country, for that matter) since January 2015. The last shipments were on Jan. 29. The paperwork Animals' Angels obtained from the US export pens also confirms that no US horses were shipped to the Inter Meats Plant. Observations at the plant on May 12 to May 16 showed vastly abandoned pen areas that were overgrown with thick weeds and grass, the watchtowers empty, and close to no human activity whatsoever. No animals were seen in the few pens that appeared to be still operational. When investigators returned on May 18, all of the pens were once again completely empty. On this date, investigators observed just one livestock truck entering the plant. A white truck pulling a stock trailer arrived at the plant at 11:28 a.m. The truck displayed the name Transgran on the door. There was no identifying DOT number on the vehicle. To determine what animals were being brought in, our investigator approached the plant's front gate as the truck awaited entry and noted that the trailer was loaded with cattle. There were no horses. As originally thought, there appeared to be only a minimal number of pens currently being used, the rest having been deserted. The cattle from the Transgran truck were unloaded into one of the few usable pens. It appears this location has been hit hard by the EU Commission's ban. Of course Animals' Angels will continue to monitor the future developments at this slaughter plant. But for now at least, our horses are no longer suffering here. To read our investigative report that includes photos from the Inter Meats Plant, go here.